Brand loyalty can be motivated by very strong emotions that dictate how people think about the products they choose. In the world of photography, these emotions are not based in facts. Nikon and Canon users battle with one another even though it is hard to tell which is better. The consumer wants to believe that the product they purchased is the better product, even though both have their positives and negatives. 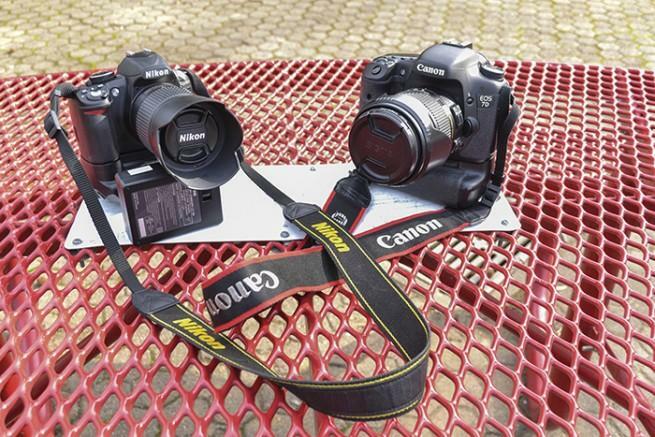 Nikons and Canons both have the same or similar features and they have the same computing power. It is the same old story seen every day on Facebook and heard every day in the halls — the brand that is chosen is the brand that the user thinks is the best. The owner of the product will sing the praises of the product they choose. Someone may finally be able to afford a Nikon that they had been dreaming about for 30 years, and then never even looked at the Canon when making their purchase. Brand loyalty, or buying from the same brand or company again and again, is a consumer behavior that is affected by a person’s preferences and can be built by company strategies. According to the book “Leading On The Edge Of Chaos” by management consultants Emmett and Mark Murphy, reducing the customer turnover by 5 percent leads to an increase of a 25 to 125 percent profit. Murphy and Murphy also wrote that retention of current customers is crucial because it can cost five times less for a company to keep their current buyers than to seek out new ones. Loyal customers consistently purchase products from their preferred brands, regardless of convenience or price. The biggest surprise is how vehement people are about their choices, as if there is no other option. But as long as the customer is happy, that’s all that matters. Joe Padilla is a first-semester student on the Current. Joe is majoring in photography and plans to transfer to a four year college after graduation. 2 Comments on "Opinion: Brand loyalty can be irrational"
What a great man, you do fantastic photos. Loyal customers never leave brand, its the brands that stop listening to their consumers. Its very difficult to earn brand loyalty and still brands are ignoring their consumers. Brands should get it now that consumers opinions matter the most. I love Nikons and recent Nikons to have quite a nice viewfinder, except, maybe, entry-level cameras.